We’re already a month into 2018! That means it’s time for a fresh wave of free games for PlayStation Plus and Xbox Live Gold subscribers Xbox Live vs. PlayStation Plus: What Do You Get With Each? 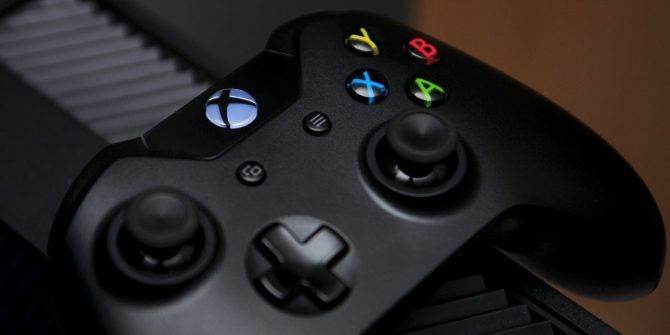 Xbox Live vs. PlayStation Plus: What Do You Get With Each? If you're got a PS4 or Xbox One, you've probably thought about subscribing to PlayStation Plus or Xbox Live Gold. Let's see what they offer gamers for the price. Read More . Here are the new games you can look forward to playing soon. The first free Xbox One title is Shadow Warrior. This ninja-themed first-person shooter is a reboot of the 1997 original. Also on Xbox One is Assassin’s Creed Chronicles: India. Unlike the mainline Assassin’s Creed games, this one is a 2.5D stealth-action platformer. On Xbox 360, you can download Split/Second. This action arcade racer takes place in a reality TV show, and features intense battles with other racers. Also on Xbox 360 is Crazy Taxi, a port of the arcade and Dreamcast classic Did You Know The Sega Dreamcast Still Gets New Releases? Did You Know The Sega Dreamcast Still Gets New Releases? The Sega Dreamcast still receives new releases to this very day. Why do developers keep making games specifically for it? Where can you find these games? Here's where you can find new Dreamcast games! Read More . It’s an open-world racing game that tasks you with driving customers to their destinations as wildly as possible. Don’t forget that you can play both Xbox 360 games on your Xbox One thanks to backwards compatibility. On PS4, Sony is finally releasing Knack as a free title. This PS4 launch title is a simple, kid-friendly platformer that’s perfectly mediocre. It’s become a meme 20 Popular Gaming Memes Explained: Barrel Rolls and More 20 Popular Gaming Memes Explained: Barrel Rolls and More Gaming memes are a huge part of internet video game culture. Here are 20 of the most popular gaming memes, where they originated, and what they mean. Read More in the YouTube community thanks to VideogameDunkey. The other free PS4 game is Rime, an adventure puzzle game where you must explore a mysterious island. PS3 players will receive Spelunker HD, an enhanced remake of the NES classic Spelunker. It’s a tough platforming challenge where you must explore a cave to find treasure. Also on PS3 is Mugen Souls Z, a Japanese RPG with an anime theme. Finally, PS Vita players can play Exile’s End, a so-so Metroidvania action platformer. Grand Kingdom, a tactical RPG with plenty to offer, rounds out the offers this month. It’s also available on PS4 thanks to Cross-Buy. Don’t forget that until March 6, PS Plus members can also download the PS VR title Starblood Arena [No Longer Available] free. Do any of this month’s titles stand out to you? What games are you looking forward to in February? Share with us in the comments!